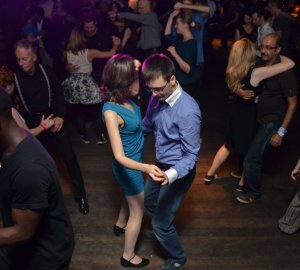 There are two new opportunities for social dancing and dance classes at The Globe, featuring tango and blues. Every Sunday evening, from 7.30pm to 10.30pm there’s a traditional tango social dance, known as a milonga. Newcomers will be made very welcome and you do not need to bring a dance partner. Once a month the session starts with a one hour class led by tango maestros Liliana Tolomei and Santiago León. The first monthly class is on 11 December. On Saturday 17 December The Globe hosts its first Hoodoo Blues, a fun night of blues/fusion social dance that starts with an optional dance class at 8pm. The class, taught by Oli and Melissa, is open to all levels and is suitable for those who have never danced blues before. You do not need to bring a dance partner. If this is successful we hope that it will become a monthly event.